Since I bought my HDTV, I’ve gradually noticed that I wanted to spend less time on the computer in the computer room. I got a PS3, not only for the BluRay player and current gaming, but because I thought it’d be a versatile media center. I entered into a big error by thinking that. It’s been an exercise in frustration the whole time, but I believe in the paradigm, and I’m ready to put my money where my mind is. I’ve been contemplating the construction of my first brand-new computer since 1999. This one, however, will not be a typical desktop model, but a custom-built media center machine that will sit under my television and enable the streaming of all online services, the display of all video and audio regardless of format or encoding, full internet and productivity capabilities, and a degree of gaming, to boot. It will be a home theater personal computer, specified and built by your’s truly. My problem is that I never see projects to their completion. I get big dreams and make big plans, and then I don’t follow through…not for lack of ability, but these three necessaries: time, resources, and drive. Resources and drive are there now, and time need not be an issue now that I’m not working incessant overtime hours. The first thing is that I wanted a unique case for it that wasn’t a small square box or a mid-tower on its side. I wanted something that would be big enough to allow for expansion (discrete video, additional drives) but svelte enough to pass as a “real” HTPC that would give nerd cred. Selecting the case will help determine as well as narrow down the size and configuration of the components within. 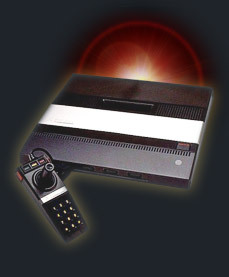 I always loved the lines and look of the Atari 5200, and the fact that it’s gi-normous compared to other consoles is both awesome and fortuitous, as it was the first thing I thought of when I thought of a case design. Plus, I could use the innards for spare parts should my own old 5200 ever give up the ghost and need a transplant. 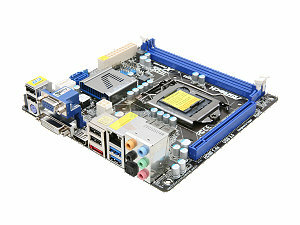 With the body of a 5200 in mind, a micro-ATX or mini-ITX size motherboard was in order…while micro-ATX offers slightly more flexibility, the mini-ITX is slightly more compact. I eventually chose the mini-ITX because of that slight size benefit and the fact that there’s not really that much more space on the micro-ATX to make any real difference. 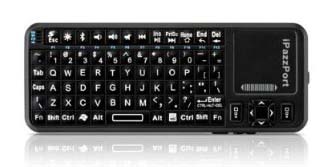 While I want compactness and HD playback, I also want versatility; this thing will need to be able to transcode video for use on my cell phone, as well as convert DVDs and Blu-Rays to a more storable format. I will make extensive use of console emulation here, and the more horsepower I have at my disposal, the better that will work for more recent hardware. Plus, I may want to give a newer PC game a whirl (Transformers Universe is coming soon….). 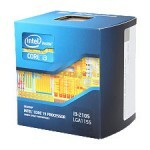 So the Intel Sandy Bridge architecture was a good next step…but which one? 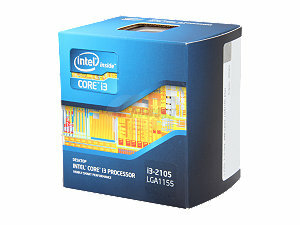 The Intel i3-2105 was a perfect choice, given it’s a hyper-threaded, dual-core processor with Intel’s most advanced (currently) built-in HD Graphics 3000 capabilities, making it as good as a low-end discrete graphics card. Plus, it has a thermal design point of 65 watts…which means that it will sip power and run with minimal cooling, so a high-rise heat sink and fan will be unnecessary. This was good, because one of the things I’d wrestled with was power. The setup won’t need much, but to include a standard, even low-profile PSU would require major gutting of the case. This is not bueno. Enter the picoPSU. This involves a small circult board with voltage regulators plugging directly into the mobo power plug, getting its power from a laptop-style AC/DC power brick. It only comes with one SATA power plug, but I can get an adapter to covert the old school ATA Molex plug included with the PSU to SATA so I can run both optical and SSD/HDD. This thing sips the power (TDP of 65W) and runs cool, which is why I chose not to go with the superior but hotter i5 part. However, it has the on-board Intel HD Graphics 3000 which is enough my downloaded HD videos, some transcoding, and emulation…but it also allows for relatively modern gaming. This board went down twenty bucks from the time I picked it to the time it was bought. It supports HDD caching on SDD to speed up access, the built-in Intel graphics architecture, and runs on pretty low overhead. It also has the fast booting visual BIOS and can run a potential discrete card alongside the onboard graphics if called upon. 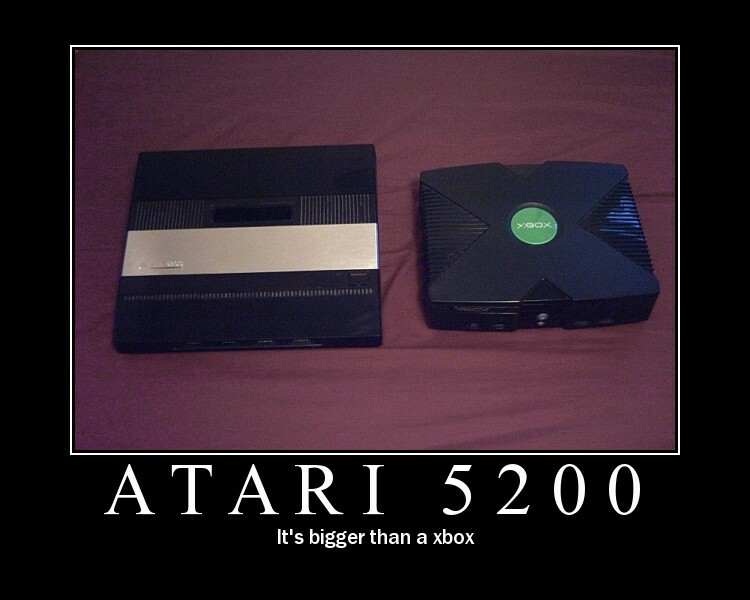 Plus, it’s Mini-ITX, meaning it’s 6.7″x6.7″ and will fit in the pre-existing enclosure within the Atari case. This thing will power everything while taking up about as much room inside the case as a thumb drive. Granted, outside the case will be a laptop-style power brick, but the exchange is well worth it, plus it should be plenty of power to run the whole machine. But shipping was killer, though…$18! I could have gone higher, but why? I’m looking for boot times between 10-20 seconds with this, and snappy Windows operation, too. Might dual boot this with Ubuntu or just run XBMC on top of Win7. For those big ol’ downloads…or ripped Blu-rays. I can add more…I think. I would have preferred using a 2.5″ HDD, but that got expensive quickly, and this thing is already way over-budget. I’d have liked to get a Blu-ray burner, but I can’t justify it right now. I mainly want this to play back and possibly rip Blu-rays. This should be a good fit, as a regular desktop optical drive would have a hard time fitting in the short wedge on the front of the case, which will have to be custom-cut to accommodate it. I’m a bit peeved over this one. It would have been $91.99 had I been quicker on the draw, but Amazon’s monthly sales expirations strike again. Last time it cost me $50 on a cell phone, so losing $8 isn’t so bad. Despite my totally not needing a laser pointer, this has the potential to be tres awesome or a beaucoup flop. I’m taking a shot at it…a $40 shot, but if things turn out the way they should this would be a perfect solution to use the machine on a television. I will still need a standard keyboard to configure the BIOS and stuff, but those are pretty easy to come by for little of nothing. I could use my regular desktop keyboard if necessary. Being that I’m about to engage in a custom case build, I need stuff you don’t normally have to worry with, such as switches, indicator lights, and ports, not to mention special tools. I’d been eye-balling the diamond wheel for many months, so I finally pulled the trigger. The mobo has two USB headers, so I’ll put one in a controller port and probably stick the other in the side or something…probably the remote that comes with the motherboard. I’ll also need a PC speaker (eh, I guess it’s traditional), but I can get one of those from work…we have a load of them in storage that work and will be thrown out very soon. Add in about $50 worth of Atari cases and the cost of stand-offs, screws, and a primary but inexpensive input solution for BIOS setup and the like, and we’re all set. Another article on this topic will be published after the parts arrive and assembly has begun. I’ll be posting the case modifications and such in that article. Cant wait to see how this turns out. I still have my original 5200 and think it is still the best looking game console ever made. Thanks for looking! I’ve actually been done with the project and using it since something like September…I just haven’t put the last article together yet. I’ll try to accelerate the process so you can see how it turned out.